Kids these days just don’t have the same gumption to get their driver’s licenses as they did back in the day. It used to be a countdown until the 16th birthday, as teenagers anticipated the chance to break free from their parents (slightly) and get their first taste of adulthood. However, the number of high school seniors that have their licenses today is rapidly decreasing. USA Today reports that in 1996, 85% of seniors had licenses, while in 2010 only 73% of them did. So what gives? Is the driver’s license really losing its draw? For one, teens these days are armed with smartphones. Through these magical devices they are able to instantly socialize with everyone they want to (and even those they don’t). They don’t have to go to the mall to get the scoop on their friends, or even to buy anything, thanks to online shopping. On top of that, they have parents that drive them everywhere they need to go (whether willingly or not, it gets done). Another factor stopping teens from driving is the expense of it. From driver’s ed costs to increased insurance premiums to fuel tabs, driving is not cheap (but you already knew that). If teenagers are responsible for these funds themselves, it doesn’t seem worth the effort. They’d rather spend their money on new clothes or the latest gadget. 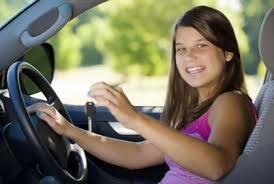 And if parents are covering the bill, it is no wonder they aren’t exactly pushing their teens into the driving club. Or so they say they are. Chances are you had just as much homework and after-school activities and social events as teens do today, but your priorities were different. You saw the draw in being able to get yourself wherever you needed to go. Most teens today just don’t have the urgency that once existed. But teenagers aren’t the only ones to blame. With frightening, well-known statistics about auto accidents being the leading cause of death for teenagers and the alarming number of teen fatalities in car crashes, it is no surprise that parents aren’t pushing the issue.